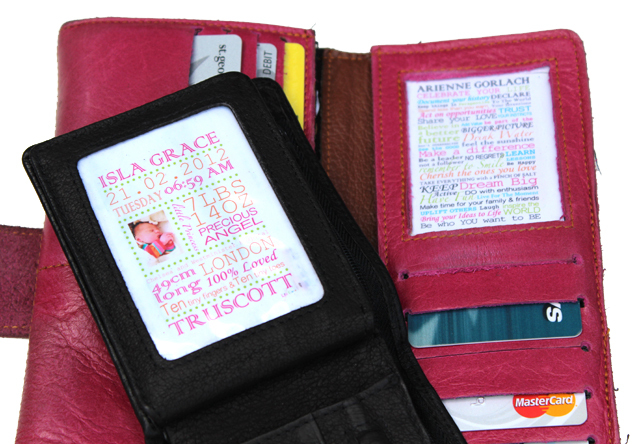 We LOVE the wallet sized prints as they are uber cute, gorgeous and extremely portable! We couldn’t find these little explosions of wallet sized joy anywhere, so we created them ourselves. 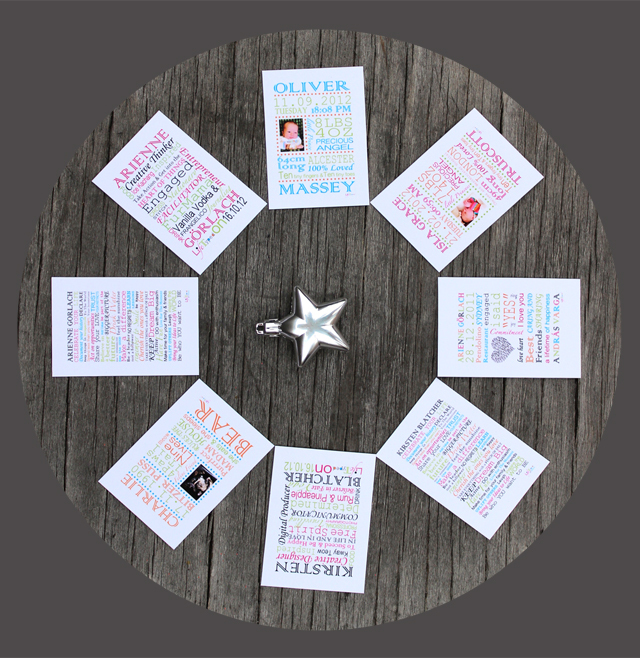 Hand out these little mementos of big occasions to friends and family that were involved in the event. They make wonderful souvenirs and when someone asks ‘Hey, didn’t so-and-so have their baby/wedding/engagement recently?’, they can whip out their print and say, ‘Yes they did! Have a look!”. Put your LifeTyped Life Manifesto in your wallet, your orgnaiser or diary, your bathroom mirror and your car dashboard to remind you to stop and remember the important things. Put one of your other wallet sized prints of a special life moment in the same places to celebrate that event and put a smile on your face as you go through your day. 5) Hide them around the place and surprise yourself! Hide them in coat pockets, tupperware containers and books. Then forget about them. Imagine the delicious surprise when you stumble across a print. Make a game of it with others in your household – when someone finds one they have to squirrel it away in another location. Do you have other ideas about used for the wallet sized LifeTyped prints? Share them with us below. This entry was posted in LifeTyped Prints and tagged wallet size. Bookmark the permalink. 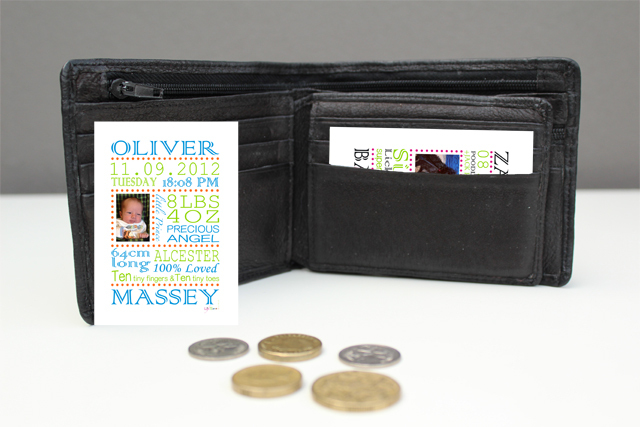 3 Responses to 5 Ideas for Using Your Wallet Sized Prints! Hi Karen! Thanks for the heads up – should all be fixed now! I’ll be away from the computer for a few hours but email me if you have any other issues!